There are six vervains (genus Verbena) found in Minnesota. Hoary vervain (Verbena stricta) is by far the showiest yet it is considered a weed. 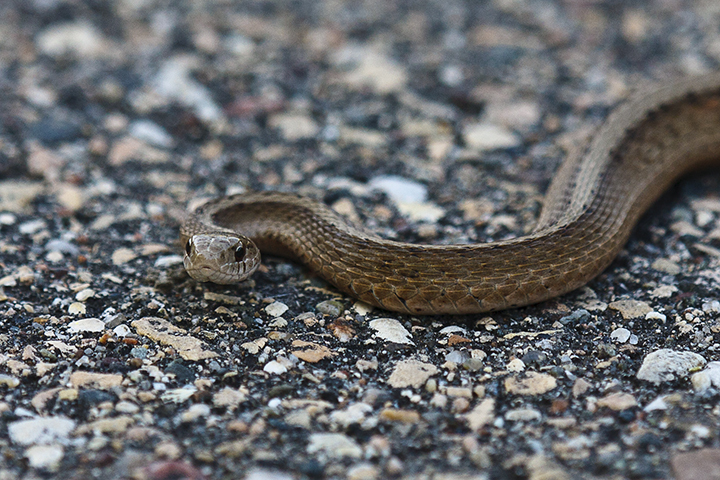 It is common in the southern half of Minnesota in prairies, fields, roadsides, and other disturbed areas. 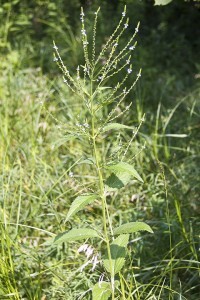 It is especially common in overgrazed pastures because the taste is bitter and unpalatable to cattle. It spreads easily by seed and with a root system that can extend 12 feet in depth, is very drought tolerant. 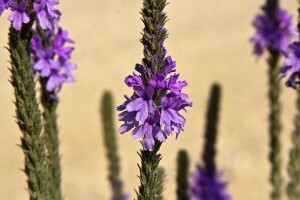 Hoary vervain is distinguished by its grayish-green, densely hairy foliage; broad leaves with very short stalks or no stalks at all; an inflorescence of a solitary spike or group of 3 to 5 spikes; and large corolla limbs. This entry was posted in Plants and tagged hoary vervain, Verbena stricta on November 29, 2014 by John Valo. 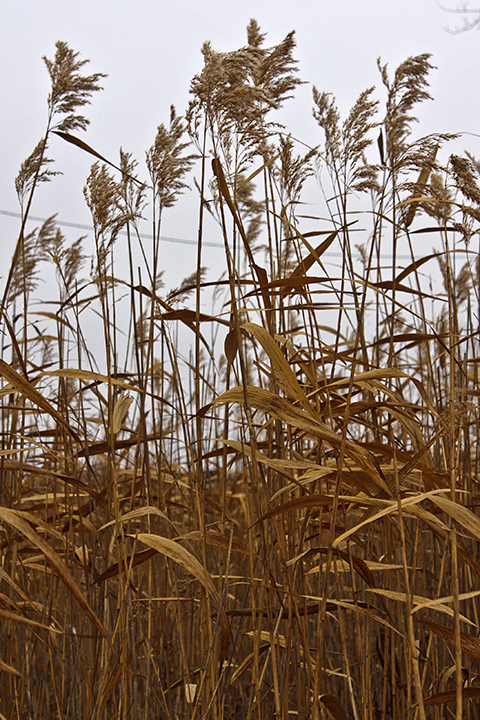 At 16′ in height, common reed (Phragmites australis) may be the tallest native or naturalized grass in the state. It is common in wet and muddy areas on lake shores, alongside streams, and in marshes, sloughs, and roadside ditches. There are three subspecies of common reed, two of which are found in Minnesota. One of these, European common reed, is an invasive plant from Europe, Asia, and Africa that threatens our natural wetlands and shores. The other, North American common reed (Phragmites australis ssp. americanus), is native to Minnesota. North American common reed is distinguished by less dense stands that do not crowd out other native plants; lighter colored foliage; shiny, smooth stems; the presence (sometimes) of small black fungal spots on the stem; leaves that fall off in the winter exposing a reddish stem; a less dense inflorescence that will not persist through the winter; and microscopic differences in floret parts. 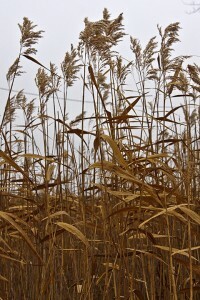 This entry was posted in Plants and tagged North American common reed, Phragmites australis ssp. americanus on November 25, 2014 by John Valo. White vervain (Verbena urticifolia var. urticifolia) is common throughout most of Minnesota. It blooms from June to October in areas of partial sun in woodland edges and openings, thickets, power lines, trails, and other disturbed sites. This plant is difficult to photograph in its entirety. The flower spikes spread widely in all directions and the individual flowers are tiny. The inflorescence tends to get lost against the background and most of it is inevitably out of focus. There are two varieties of white vervain and both are found in Minnesota. This variety, var. urticifolia, is distinguished by fewer and longer hairs on the underside of the leaf blade; visible appressed hairs on the calyx; and a slightly longer nutlet that is corrugated on the back. This entry was posted in Plants and tagged Verbena urticifolia var. 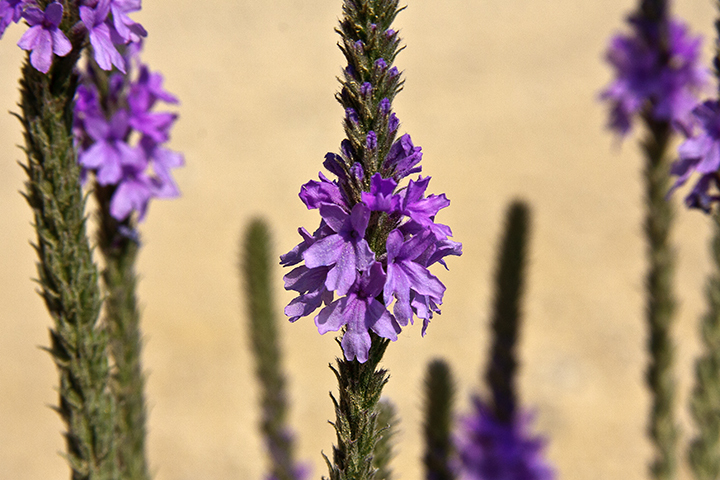 urticifolia, white vervain on November 21, 2014 by John Valo. 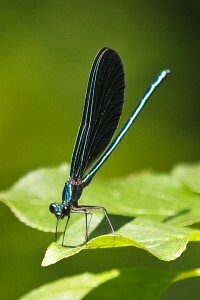 Ebony jewelwing (Calopteryx maculata) is a large, showy, broad-winged damselfly. It can be found from late May to early September near shallow, small to medium-sized, canopy covered forest streams and adjacent shaded areas. Adults live on average for 16 to 20 days. They are often noticed in large numbers but for only a short period and then sporadically or not at all until the next year. Jewelwings in Minnesota are identified by the broad, partially or wholly black wings; and on the female the small white patch near the tip of each wing. This species is identified by the brilliant metallic green or blue body; the broader, wholly black wings that are 3 times as long as wide; and the wider white patch near the wing tip of the female. This entry was posted in Insects and tagged Calopteryx maculata, Ebony jewelwing on November 18, 2014 by John Valo. 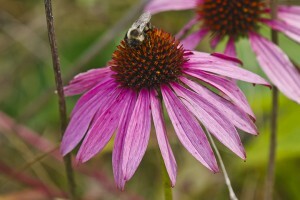 Eastern purple coneflower (Echinacea purpurea) is not native to Minnesota. It is a cultivated plant sold in nurseries. The seeds are often included in wildflower mixes purchased by parks. As a result, this plant can often be found in county and state parks in Minnesota, especially in recently restored prairies and in showcase plantings near visitor centers. This species is distinguished from narrow-leaved purple coneflower, a native species, by the taller stature; the leaves that are broader, have a rounded base, and have toothed margins; and the larger flower head. This entry was posted in Plants and tagged eastern purple coneflower, Echinacea purpurea on November 14, 2014 by John Valo. The Long Meadow Lake Unit is one of eight units that make up the Minnesota Valley National Wildlife Refuge. It is the most visited of the eight units. 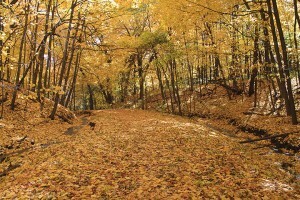 It lies on the north bank of the Minnesota River just south of the Minneapolis-St. Paul International Airport. Fort Snelling State Park lies just across the river. In the spring of 2013 USFWS began an oak savanna restoration project on 5 acres near the Bloomington Visitor Center. 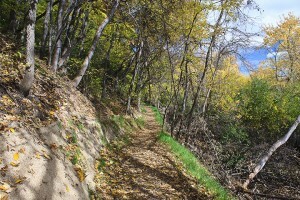 There are more than 18 miles of hiking trails. Casual visitors can hike the 1 mile Hillside Trail or the 1.3 mile Bass Ponds Interpretive Trail. For a somewhat longer walk, there is the 7.3 mile north loop trail. Serious hikers can take the 16 mile south loop trail. 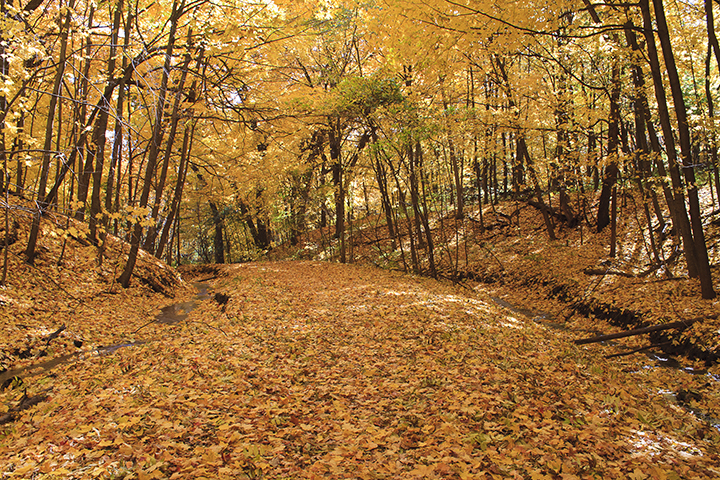 This entry was posted in Nature Destinations and tagged Long Meadow Lake Unit, Minnesota Valley National Wildlife Refuge on November 6, 2014 by John Valo. 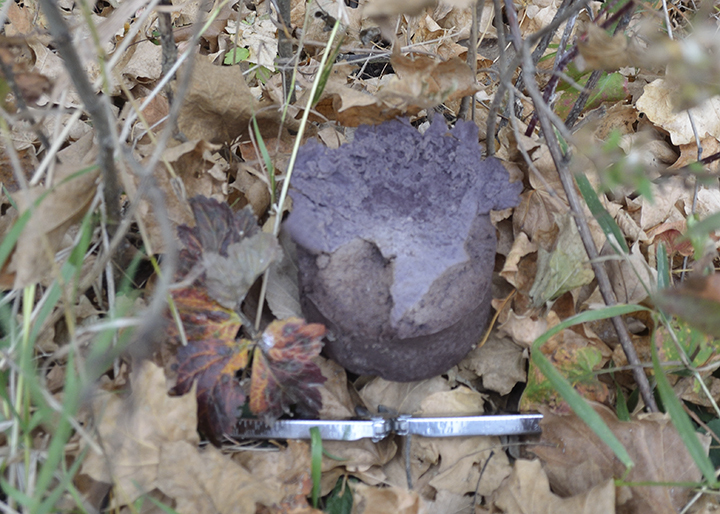 Purple-spored Puffball (Calvatia cyathiformis) is a large mushroom found from July to November in prairies, pastures, lawns, and other open grassy areas. It grows on the ground and obtains its nutrients from decaying organic matter. 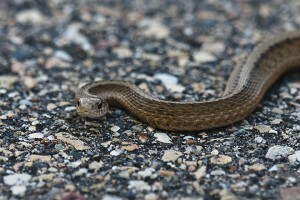 It is widespread and occasional to locally common in eastern North America and the Great Plains. In the summer it appears as a white, rounded or pear-shaped puffball and is difficult to distinguish from several similar species. 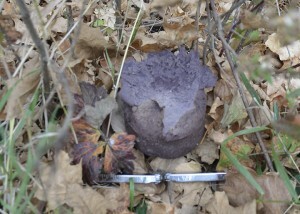 In the fall it turns dull purple, eventually rupturing to reveal a distinctive purple spore mass. It is edible in the summer when the flesh is white and solid. The thin skin and mushy (while darkening) spore mass distinguish puffballs, which are edible, from earthballs, some of which are poisonous. The purple spores distinguish this species from all other puffballs in found in Minnesota. This entry was posted in Fungi and tagged Calvatia cyathiformis, Purple-spored Puffball on November 5, 2014 by John Valo.